Hardwood trees are also known as deciduous trees, meaning that they lose their leaves each year in autumn. The Wexford Conservation District sells a wide variety of hardwood trees suited to the climate and soil types found locally. 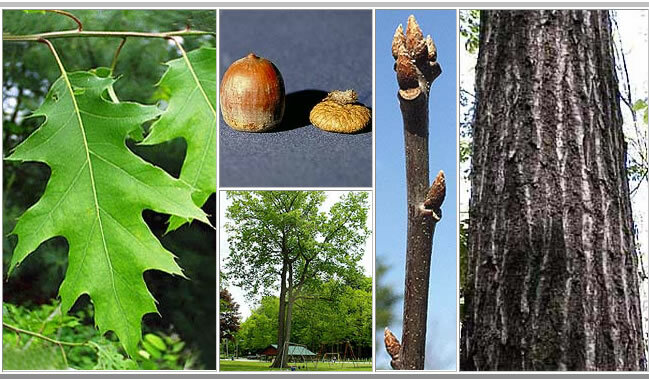 All of the hardwood trees that we sell are native to Michigan. Also called trembling aspen for the way the leaves tremble in the slightest breeze. Will grow 3 feet or more per year. Will form a clump of trees over time. Needs full sun. Prefers moist soils, but can grow on dry soils. The better the soil quality, the faster it will grow. A large tree with straight trunks. Grows best in full sun, but can tolerate some shade. Does best on slightly moist soils. Grows 40-60’ tall. A good source of nectar for bees. 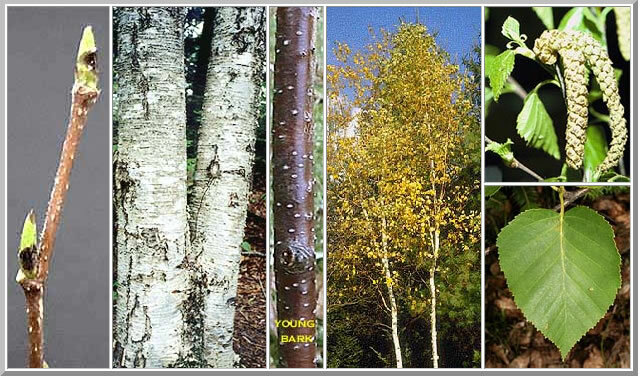 Also called paper birch. Needs full sun. Does best on moist soils. 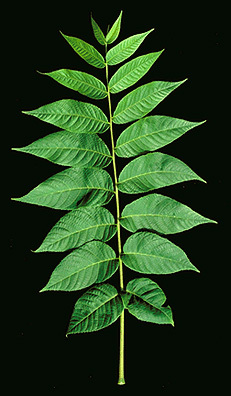 Grows 40 – 60’ tall. Used primarily for ornamental purposes. 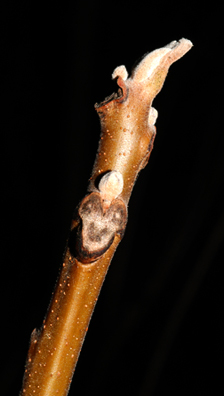 Yellow birch is named for its silvery-yellow, thinly peeling bark. It is slower growing and longer lived than white birch. A favorite tree for deer browsing. 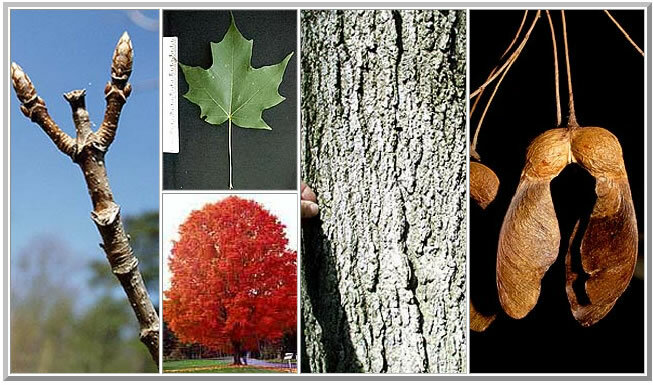 Often grows in association with hemlock, red maple, and white cedar. It can tolerate some shade and prefers soils that are moist and rich. Can reach heights up to 70'. 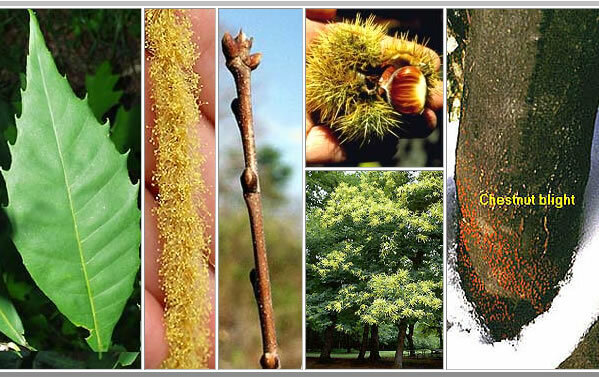 Not to be confused with trees that produce edible cherries, this is the forest tree from which beautiful cherry wood is derived. Does best in full sun, but tolerates some shade. Will tolerate somewhat dry soils. Grows 45-60’ tall. Used for high value lumber. This tree, once a major component of eastern forests, is now found rarely in the wild due to the Chestnut Blight. 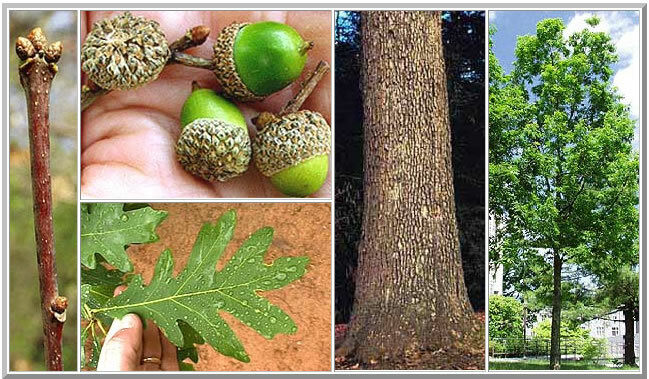 The American Chestnut Council gathers nuts from still-healthy trees in Michigan that appear to be resistant to the blight. It is from these nuts that our seedlings are propagated. In order for the trees to produce nuts, two trees have to be planted within 100 feet of each other for pollination. Needs full sun. Tolerates dry soils. Grows 55-75’ tall. 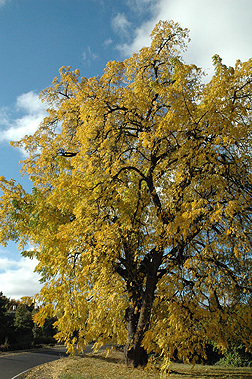 In summer the leaves are green, but in autumn, the foliage of this tree usually turns a brilliant crimson. Shade tolerant. Can grow on a wide range of soil types, but prefers moist soils. Grows 45-60’ tall. Shade tolerant. Prefers somewhat moist soil, but can tolerate dry soils. Used for firewood, timber, and maple syrup production. Grows 60-90’ tall. Grows best in full sun, but can tolerate some shade. Can tolerate dry soils. Leaves have pointed lobes. Produces timber, firewood, and acorns for wildlife. Grows 60-90’ tall. The name "bicolor" comes from the marked difference of the dark green upper leaf surface and the white-ish lower leaf surface. Adapted to both dry soils and those with poor aeration and high water tables. Sweet acorns are a good food source for wildlife. Grows 50-80' tall. Slow growing, but long-lived. Some shade tolerance. Grows best in full sun, but can tolerate some shade. Can tolerate dry soils. Leaves have rounded lobes. Produces timber, firewood, and acorns for wildlife. Grows 60-90’ tall. Requires full sunshine and fertile, moist soil (but not waterlogged) soils. Produces edible nuts and beautiful high-value lumber. Grows 60-80’ tall.